1. Stay in touch with your local feed store. 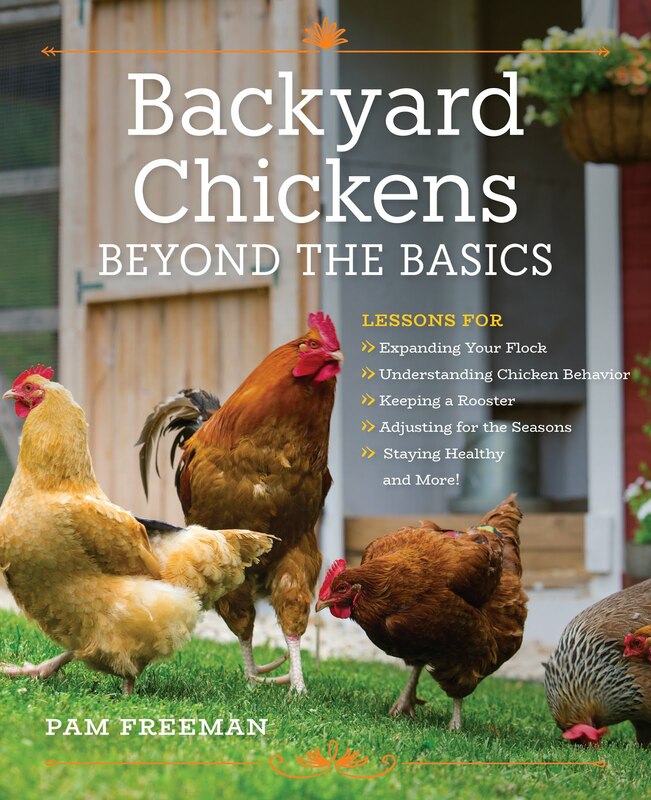 Whether you're raising chickens for eggs, for meat or for both, backyard chicken keeping is more popular than ever. So, don't assume your local feed store will always have chicks on hand in the spring. There are tons of stories of people going to the feed store only to find a sold out sign and lights out on the brooders. Plus, it's good to get your chicks as soon as possible so they're not exposed to outside factors for a long time and you can start bonding with them quickly. 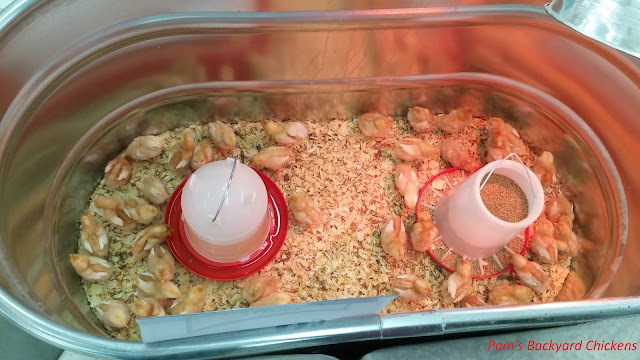 Your feed store placed orders for their chicks many months to even a year before they appear in the store. So, don't be afraid to call ahead and ask when chicks will be available. Store representatives will know the answer and you can plan ahead. 2. Have your supplies on hand or buy them as you're buying your birds. If this is your first flock, it's good to have your supplies on hand and take some time to get acquainted with your set up before your chicks arrive. That familiarity will definitely increase your chances for success. If you're a veteran chicken owner, then you usually have everything you need on hand and it's just a matter of getting it all from storage and set up. So, you have a little more wiggle room to make an on-the-spot purchase. But, either way, don't forget to add a bag of food to your cart! 3. Know your backyard chicken terms. 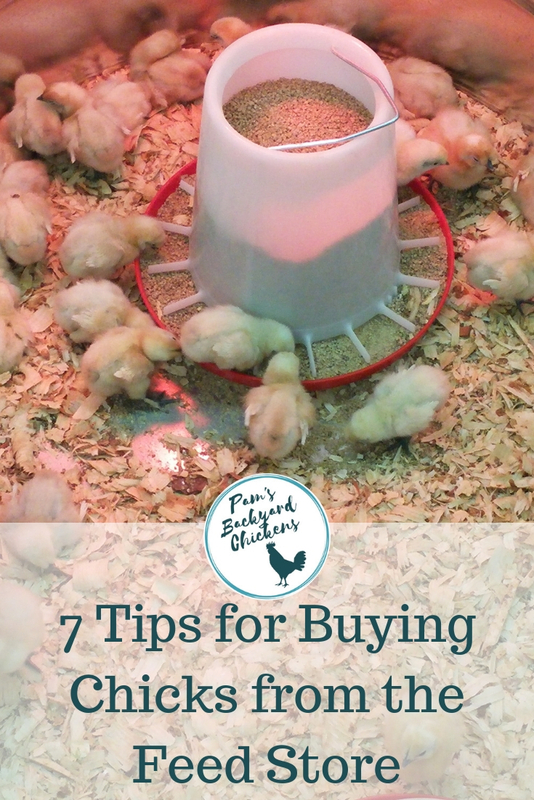 At the feed store, you'll likely find brooders marked with the terms straight run or pullets. You've got to know what those terms mean because it makes a big difference in what you'll be taking home. Straight run means that none of the chicks are sexed so there are definitely males and females in that brooder. Pullets are female chickens. 4. Pick out the healthiest chicks. This is important because once you take your chicks out the door, you have to deal with any health issues they may have. Normally there are no returns when you buy chicks. With that said, at least in my area, I normally see healthy chicks in the feed store brooders. It's good to know baby chick health basics ahead of time. Here are some signs of a healthy chick: active, alert, eating and drinking. Look to make sure your chicks don't have scissored beaks and that their legs are straight and facing forward, not splayed. You will see chicks that are sleeping and sometimes a sleeping chick is so comfortable it spreads out for a good snooze. Don't confuse sleeping with sick. A sick chick will stand and sway with its eyes closed. It may be isolated from the others. And it will be limp if it's picked up. 5. Be aware there could be roosters in your box. Hatcheries readily admit they are not 100% with their sexing. And, at the feed store, many times people are picking up chicks and then sitting them down in the brooders. Sometimes they don't get put down in the right brooders and a chick from the straight run brooder with roosters ends up in the pullet brooder. This happens easily if they have a straight run and pullet bin with the same type of chicken like Buff Orpingtons. All the chicks look the same and it's easy to make a mistake. 6. Don't miss out on breeds you really want. If you have chicken breeds you really want, you don't have to settle for what's at the feed store at the moment. If you call the feed store ahead of time, you can often piggy-back on their order and add in your own special order. 7. Make your chicks comfortable for the ride home. I see so many people just plop their chicks in the take-home box and head out the feed store door. I don't like to do this. I either bring a baggy of wood chips with me or ask the store personnel to add some wood chips to the bottom of my box before they add my chicks. This makes the box warmer and it helps keep the chicks from slipping on the cardboard surface. Plus it keeps them cleaner since the wood chips will absorb any poop vs. having it smear on the cardboard. Also, it's a good idea to get your car warm so you can pop right out the feed store door and into a comfortable climate for the chicks. Have you had a good experience buying chicks from the feed store? If so, let me know what worked and what didn't.